Being that the winter weather is just not beginning in my area, I was happy to get this Winter Fashion Plaid Checked Tartan Large Scarf. 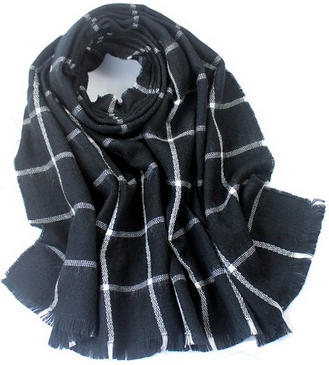 I love that it is not like a regular thin long scarf. It is oversized so I can create several different styles and ways of wrapping it. I like that I can make it into a scarf and hood to keep my head warm and keep the cold wind off my head, ears and neck. It is not only stylish it keeps me warm and matches my winter coat very nicely. I like that it comes in 5 different colors that I can choose from. I think it would make a nice gift. I recommend it.